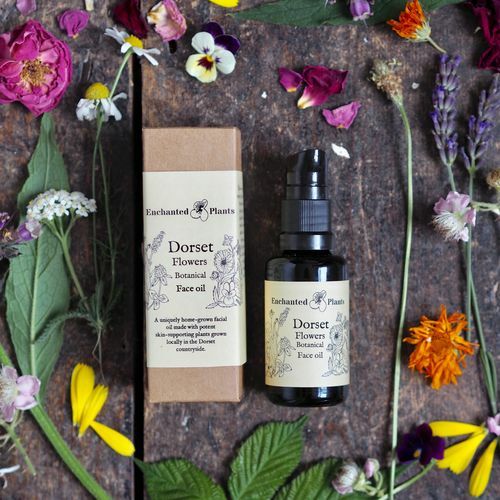 Dorset Flowers Botanical Face oil | Enchanted Plants Ltd.
We're so delighted that our Dorset Flowers Botanical Face oil has been COMMENDED in the highly competitive international 2019 Beauty Shortlist awards! We couldn't be more thrilled that our beautiful Dorset produce has achieved such results. 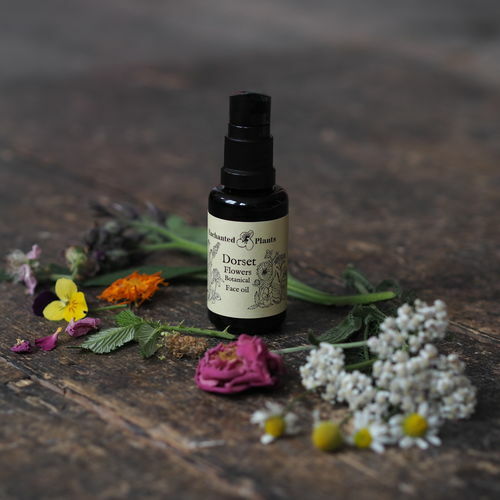 A handmade potent infusion of thirteen multi skin-supporting botanicals in a single variety high vitamin E Rapeseed oil, all grown, dried and pressed freshly on the farm in our beautiful Dorset countryside for vibrant anti-aging and skin strengthening daily nourishment. As a herbalist and skincare formulator, I find there is a whole rare beauty and quality about homegrown ingredients. 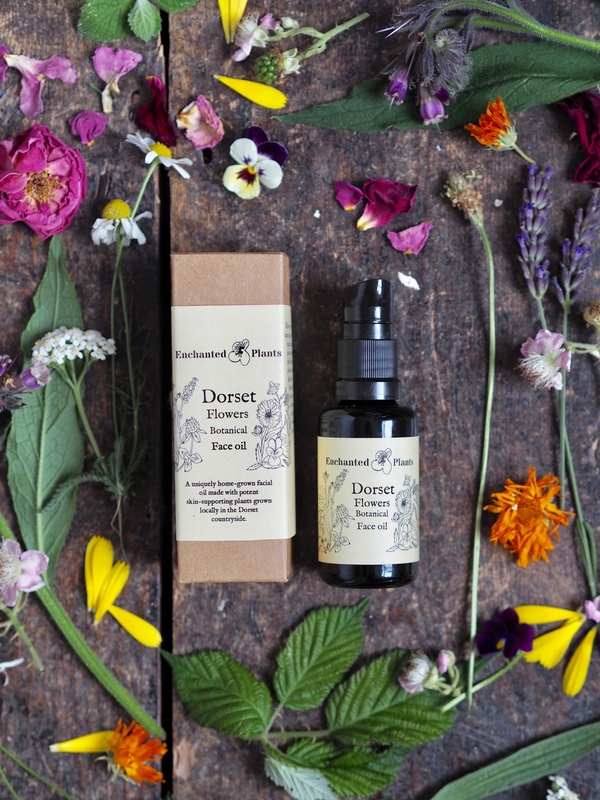 Our Dorset countryside has provided us with plants and flowers for this face oil and they are bursting with vitality and skincare goodness. I was excited by the idea of trying to reduce the environmental impacts and sustainability pressures in plant-based natural skincare by growing our own ingredients and the benefits we could achieve by supporting local communities, nature itself while also improving the quality of ingredients. 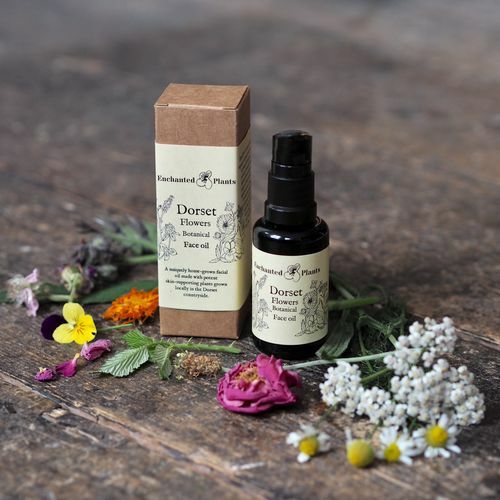 We blended a potent selection of thirteen plants all grown, gathered and infused within a few miles of our home in Dorset. 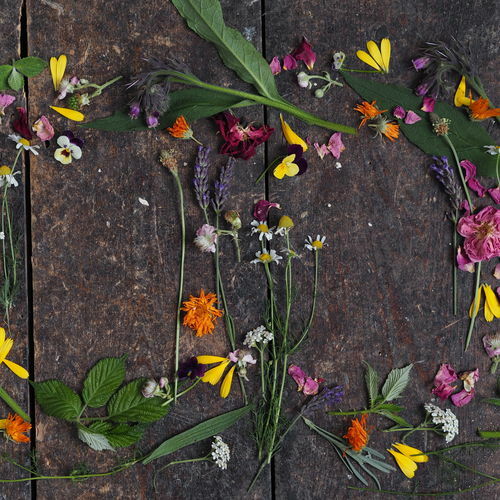 Plants hand picked to have multiple skin-supporting benefits to create naturally nourished and balanced healthy skin. We've worked with two small-scale local farmers to grow these plants for this unique face oil. After carefully drying the herbs they are infused into a single variety of Rapeseed oil grown nearby and cold pressed fresh on the farm. High in vitamin E, K, and nourishing omega fatty acids, the infusion process extracts the active constituents of the herbs into the base oil gradually over a five-week period. The magical infusion process helps deliver the phytonutrients deep into the skin's dermis to soothe and repair by calming any inflammation and strengthening cell membranes. Plant antioxidants help protect the skin from environmental stressors in a high-quality infusion that provides strength, balance, and synergy for the most naturally healthy skin. Small infusion batches and freshly pressed rapeseed with each batch mean your skin experiences the most vibrant and fresh of ingredients that haven't been exposed to travel, lengthy storage or treatments and the ravages of time and degradation. Our airtight special Miron violet glass container further protects the special ingredients to maximize their skin-supporting benefits for your skin. Please recycle your glass. Nourishment- Rapeseed oil is bursting with bioactive nutrients, over 20% vitamin E, vitamin K and lashings of skin-softening omega 6-8 essential fatty acids which penetrate deep into the dermis supporting skin hydration, collagen generation, condition, and elasticity. Strength and Balance- skin-toning nutrient rich Bramble flower, antimicrobial Yarrow with astringent Plantago and gentle antiseptic Lavender help to provide skin strength and protection from surface contamination and infection. Antioxidant Support- The high levels of vitamin E from freshly pressed Rapeseed oil provide significant support in this formula, Rutin pigment antioxidants from Viola and complex aromatic phenols and flavonoids from Lemon Balm add skin support against the oxidative damage caused by environmental stressors from pollution to free radical accumulation from sunlight. 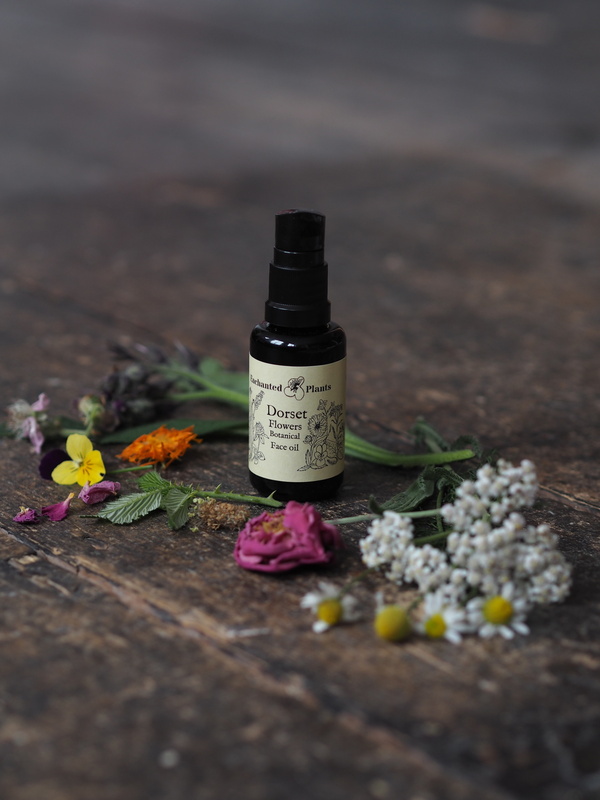 Calming and Soothing- Only whole dried plants in their natural state are infused in Rapeseed oil and used in this formula with no added essential oils, this dynamic often benefits fragile and sensitive skin types susceptible to even high levels of natural sensitisers. Vitamin K from Rapeseed supports micro capillaries reducing redness and providing strength in healthy circulation and even skin tone. 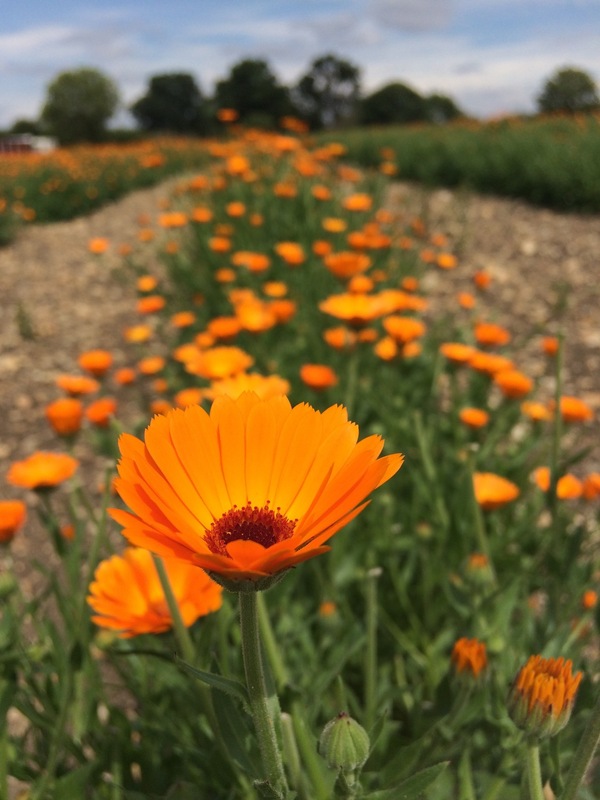 Calendula resins have powerful anti-inflammatory action while Rose actives wonderfully tone and cool. Azulenes from Chamomile effectively calm and reduce irritation. Repair, Collagen Support, and Regeneration- infused Clover sterols in the formula gently support skins natural collagen structure in the fight against premature aging and wrinkles. 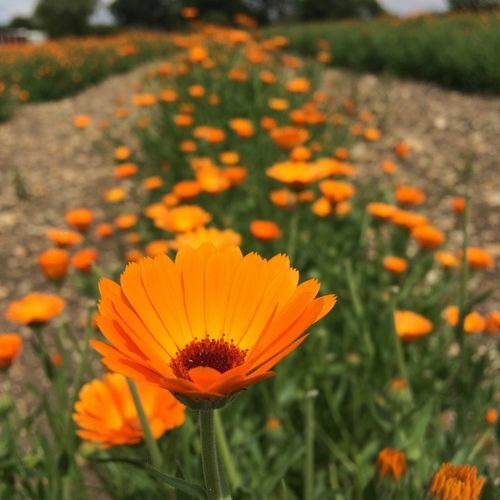 Calendula and Comfrey contain key constituents that are actively involved in repairing skin damage and promote healing and healthy skin regeneration. Directions: Massage just a little oil into face and décolletage morning and evening, into warm damp skin. Always remember to patch test before first application Store away from direct sunlight somewhere cool. Please note this is not yet a certified organic product, we are working with our farmers through the early certification process. But we can personally testify to natural soil and environmental supporting methods and small-scale wildlife supporting production.